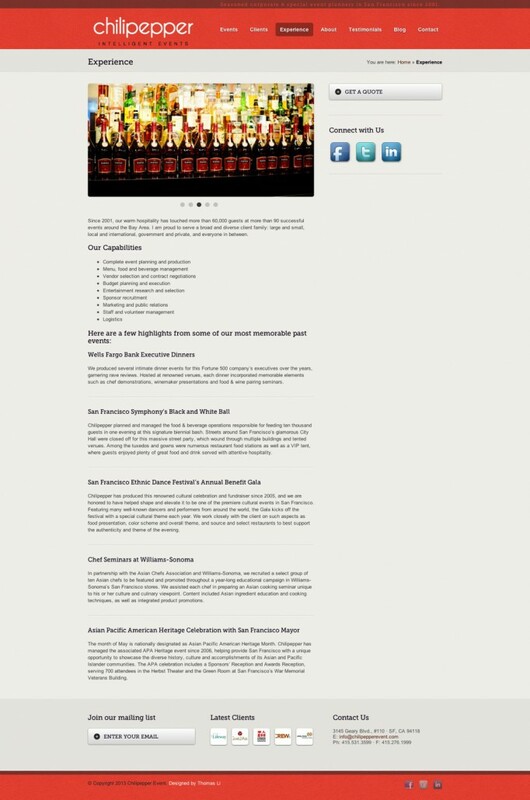 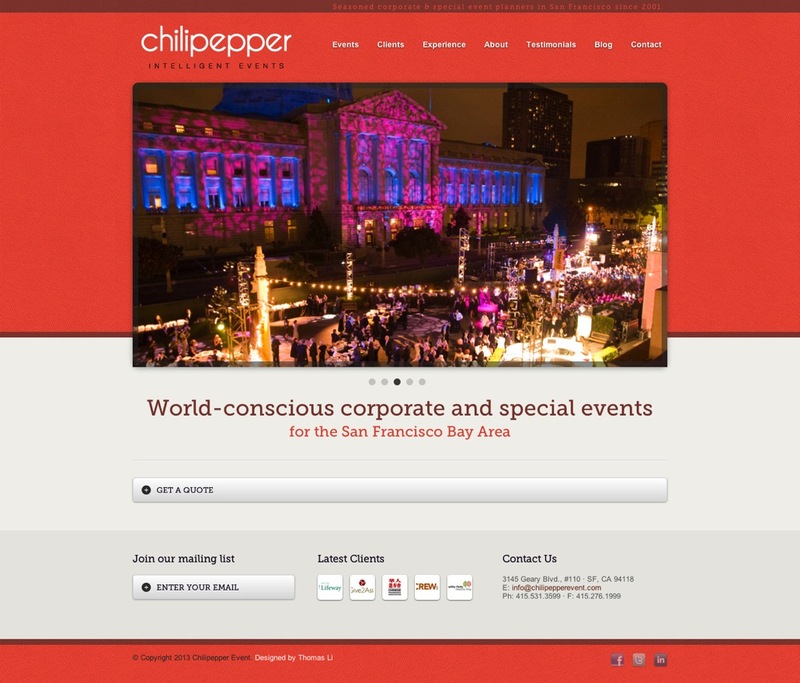 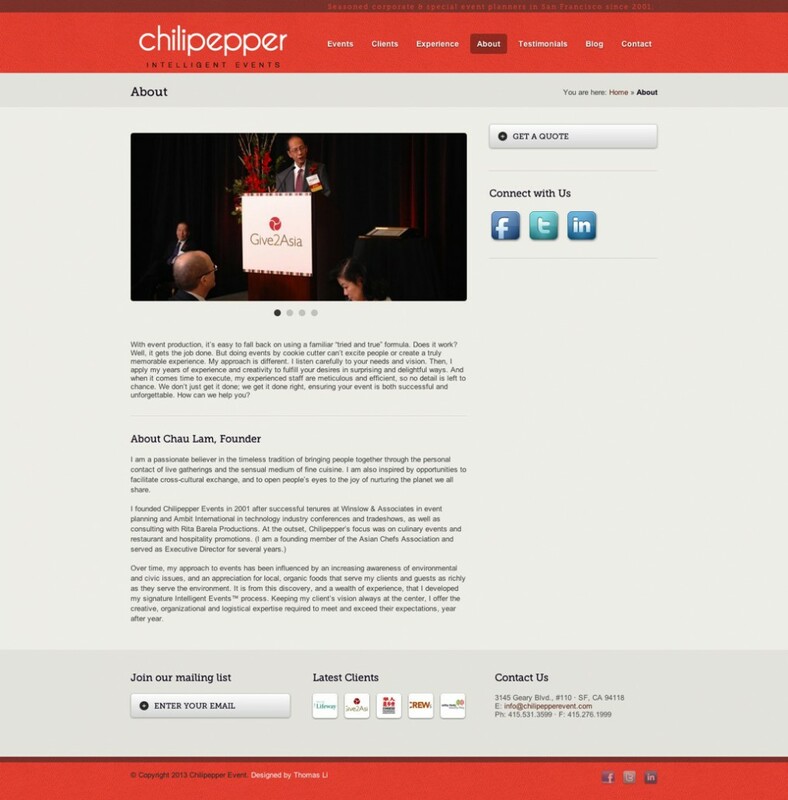 Chilipepper Events is a seasoned corporate & special event planning firm in San Francisco. 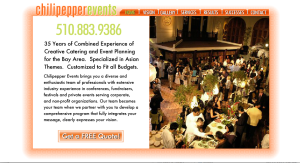 Bringing people together through the personal contact of live gatherings and the sensual medium of fine cuisine, founder Chau Lam enjoys facilitating cross-cultural exchanges. 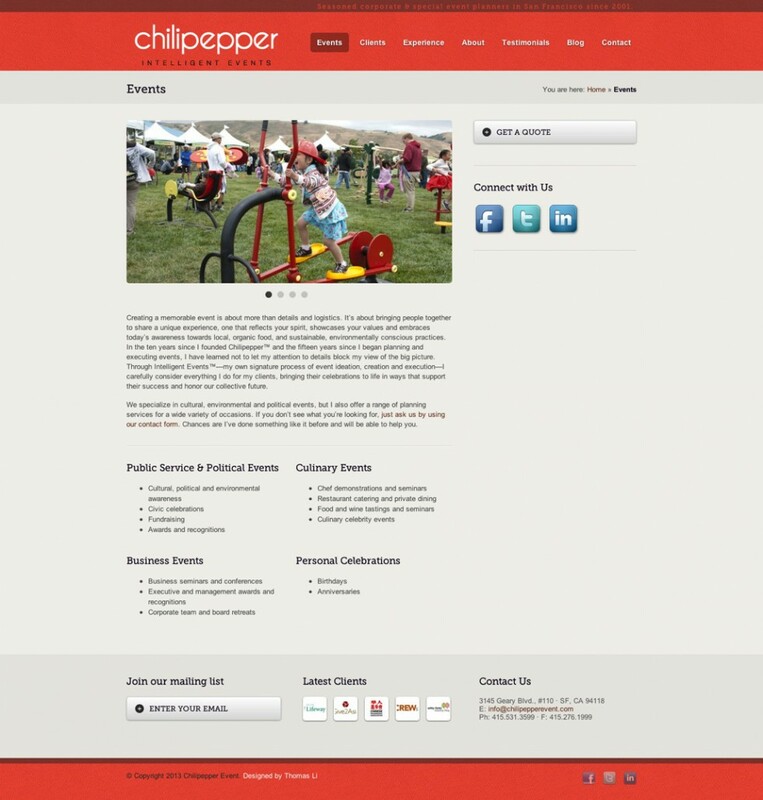 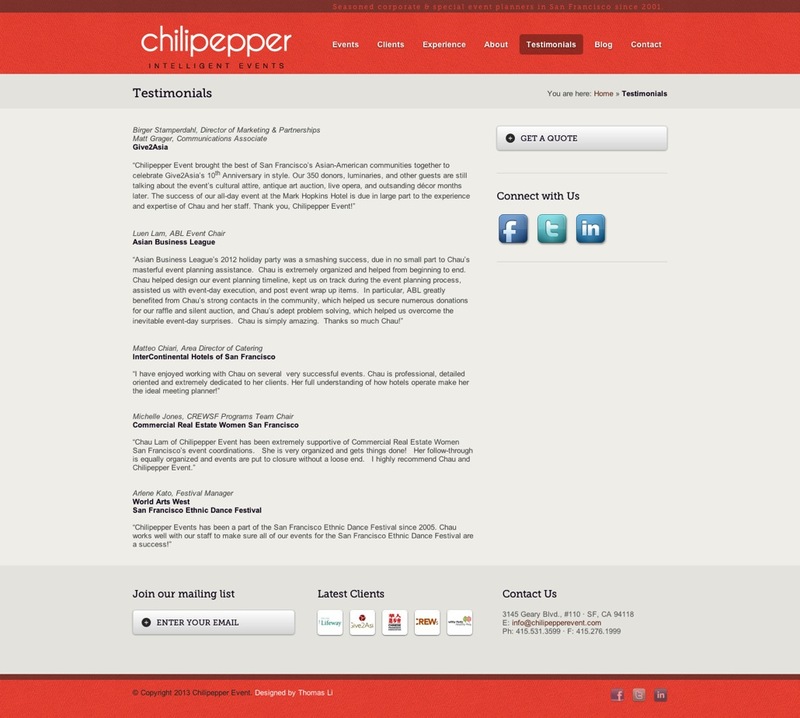 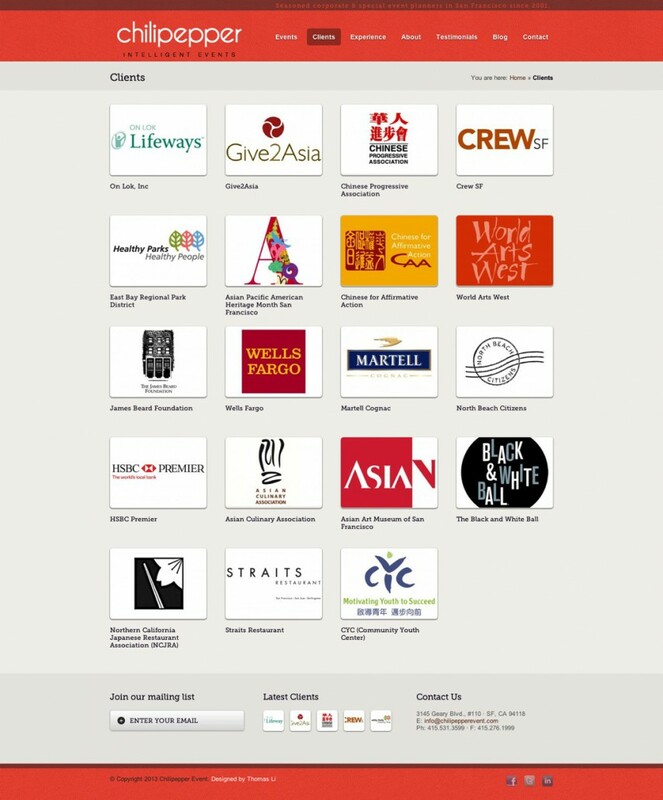 Chilipepper Events brought on Thomas Made to spice up their web presence and communicate their brand online.